Our free personal goal setting tool provides a comprehensive approach to achieving your personal and professional goals. Goal Setting for Success is the name of our free eBook, which is a compilation of the page links provided below. Successful people understand the power of goal setting; of writing what you want down on paper so that you can see it and be reminded of it on a regular basis. The vast majority of successful people are also very goal-oriented. At the most basic level goal setting provides a means for determining what you want out of life; how you want to spend the next 30 days, 1 year or an entire lifetime. Personal goal setting is a skill that once acquired can provide the mental and emotional support you need in order to persist and overcome obstacles or barriers. By creating sharply focused and clearly defined personal and professional goal plans, you can monitor and track your progress and take genuine pride from the achievement of each step in the process. Not surprisingly, people who invest the time necessary to create solid plans for their goals more regularly achieve them. They are more fulfilled in life and possess more confidence in their ability to meet the challenges in front of them. Goal planners suffer less from stress and anxiety because they know deep inside that they are prepared; they are armed with a plan they can count on to take them where they wish to go. Professional and personal goal setting effectively lessens stress and allows us to pursue our dreams with the confidence of a warrior. 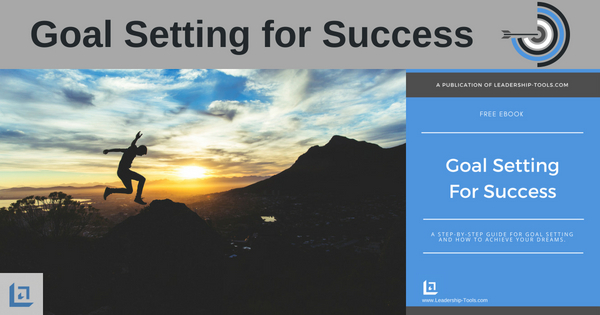 The Goal Setting For Success guide was created to walk you through the relatively simple steps for setting solid, common-sense goals in each of the key categories of your life. As you read through the entire guide, it is helpful if you have already downloaded the following two free tools. While the goal setting process is relatively simple in theory, it does take some thoughtful time and effort to be highly effective. The results, however, are well worth your personal investment. We hope you will find these simple goal setting guidelines to be another valuable tool in your leadership library of resources. "The more I am known by those I want to follow me and the more I know them, the greater will be our ability to do great things together." At the end of each chapter of the Goal Setting For Success guide, we've included a special section titled, Motivational Lessons For Success. The purpose of this section is to support each step in the goal setting process by providing words of wisdom and key lessons on leadership and success that will motivate and inspire you to press forward and continue your efforts in your professional and personal goals setting journey. Over the ages, there are countless examples of successful men and women whose have overcome great obstacles along their path to success. These timeless tales of 'rags to riches' and 'triumph over struggle' provide powerful insights and important life lessons that we can all learn and benefit from. Effective personal goal setting depends on one’s belief that he or she can learn and grow to become his or her best self. Successful goal setting also depends on one’s ambition to pursue a dream or goal to the very end; your level of persistence and determination to squarely focus on what it is that is truly important to you, and to not let time slip past you in your quest to pursue your passion. We hope you find the Motivational Lessons For Success section to be insightful and inspiring as you invest the time necessary to create your professional and personal goal setting plans. We encourage you to hold the mental picture of your best self firmly in your mind; the plan of the man or woman you long to be, and commit yourself to that plan for a more glorious and fulfilling future. It has been said, "There is a magnetic, attractive power in holding true to a mighty purpose; in clinging to one unwavering aim". When do you expect to do the wonderful things you have been dreaming about if you have not yet begun? Begin now! What are you waiting for? Start today and you may be surprised how quickly good things begin to happen for you. 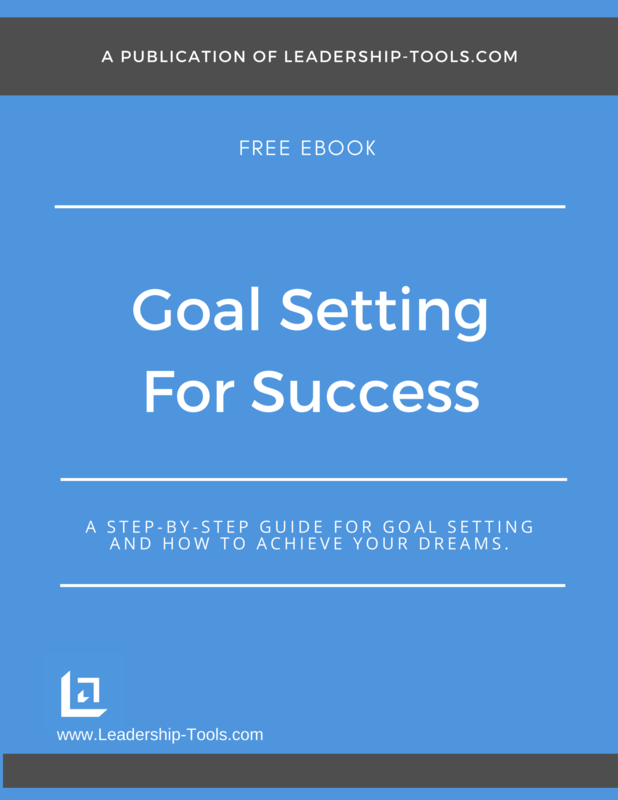 Although we have created an individual page for each Goal Setting For Success section (chapter sections listed below), you only need to download the free eBook once, as all sections our personal goal setting tool have been compiled into a single PDF ebook file for your convenience. » CHAPTER 1 - Goals For A Great Life - Personal goal setting activities will help to foster personal development and long-term growth and success. » CHAPTER 2 - What Is It That You Want? - When setting performance goal standards, be clear about what you want for an end result. » SECTION 2.1 - Goal Setting In Balance - Focus on measured results, not just goal setting theory when establishing your goal setting plan. » CHAPTER 3 - What’s Time Got To Do With It? - This is about more than just goal setting, it's about creating a quality life. » SECTION 3.1 - Goals In Priority - Prioritizing your goals is a critical goal setting technique. Focus on effective personal goal setting activities. » SECTION 3.2 - A Change Of Plans After setting personal goals, realize that 'life happens' and plans can change. » SECTION 3.3 - Never-Ending Goals - As you create your action plan for leadership development, realize that goal planning never ends. » CHAPTER 4 - Seeing Is Believing - The importance of goal setting becomes clear with every little win along the way. » SECTION 4.1 - Keeping It Real - Setting career goals is no different than setting personal goals. Both require thoughtful planning. » CHAPTER 5 - What Is In The Way? - Free goal setting advice and tools are plentiful, but not all personal goal setting tools provide the same value. » SECTION 5.1 - Facing Fear Of Failure - When you fail, learn from it, then improve your performance action plan to ensure success the next time. » SECTION 5.2 - Responding To Failure - Business goal setting must account for unexpected obstacles. Plan for this before it happens. » SECTION 5.3 - Never Enough Time! - Don't buy into the excuse of not having enough time. Setting and achieving goals is too important! » CHAPTER 6 - Beginning From Here - Our goal setting worksheet or Master Action Plan is a terrific personal goal setting tool that gets results. » CHAPTER 7 - The Price Of Admission - Be sure to download the Master Action Plan (MAP) tool, an action plan template that works! » CHAPTER 8 - Network It Out! - Read goal setting articles and books to maintain your focus and motivation. » SECTION 8.1 - Library Of Resources - Make employee goal setting an activity that every team member must participate in. They need this! » CHAPTER 9 - What Is In It For Me? - Every employee action plan should be clear about what's in it for the employee to ensure their commitment. » SECTION 9.1 - Goals For Public Consumption? - Your goal setting presentation should always be professional and applicable to the audience. » SECTION 9.2 - Too Close To Home - Not every action plan example work for everyone. Find the one that works for you. » CHAPTER 10 - M.A.P. To Success - Our Master Action Plan tool makes it clear about how to set a goal, just follow the steps. » CHAPTER 11 - Proper Perspective - When setting goal for your self or others, make sure the goal is realistic and achievable. » CHAPTER 12 - Get-To-It-Tive-Ness! - What is your action plan definition? What does it mean to you to never give up? » SECTION 12.1 - Success Is Right Now - Achieving goal objectives should not be optional, it should be right now and forever a part of your life. » SECTION 12.2 - Expect Change - When change occurs be prepared to adjust your goal setting guidelines. » CHAPTER 13 - Monitor & Track Progress - Know the score by creating action plan tracking and reports to monitor your progress. » SECTION 13.1 - Measure Effectiveness - Goal setting lesson plan #1 "Measure your progress!" » CHAPTER 14 - Stick-To-It-Tive-Ness! - Our free plan of action template requires you to anticipate barriers so you will be more likely to push forward. » SECTION 14.1 - It Is Up To Me! - Don't wait to be motivated, motivation and goal setting requires you to be self-motivated. » CHAPTER 15 - Celebrate To Motivate - Begin having the time of your life and celebrate every small success along the way to realizing your dreams. » EXHIBIT A - Fitness Goal Plan - Example - Goal planning software can work nicely, but so does a pen and a piece paper, see this example. » EXHIBIT B - Financial Goal Plan - Example - Another great example.